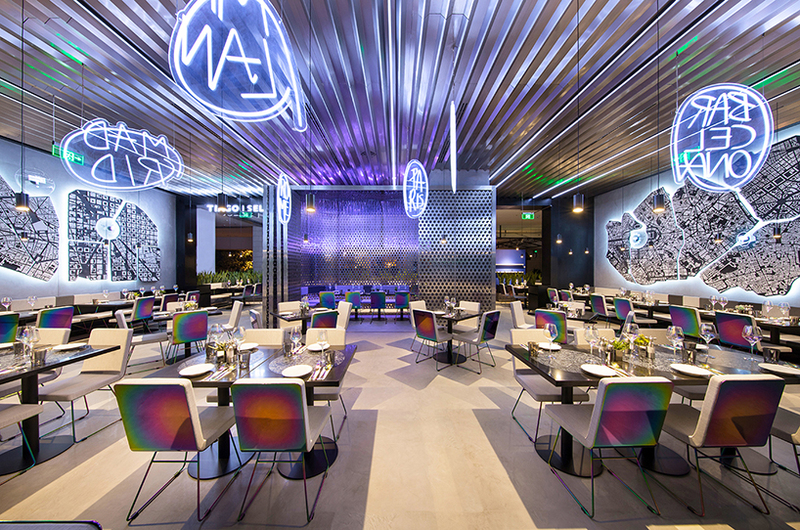 reminiscences of international backgrounds celebrate the european culinary culture in an environment rich of sophisticated references and designed for the youngest generation of chinese. 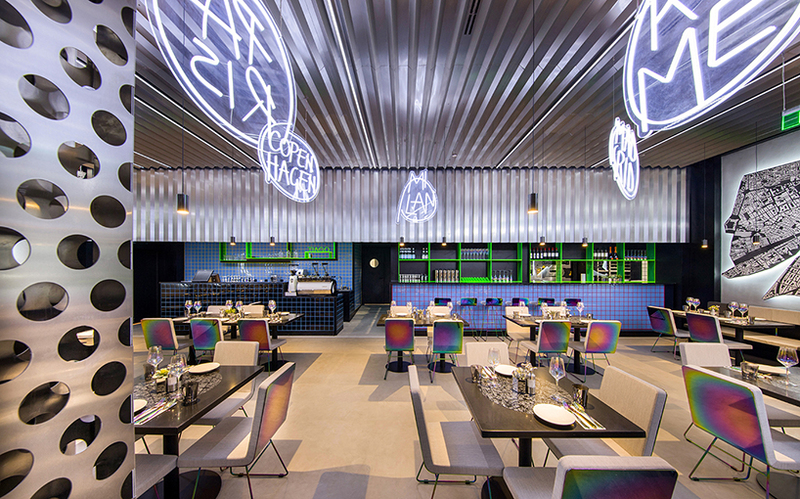 straight lighting lines are crossing the steel corrugated ceiling, dotted by floating neon signs suggesting possible future destinations. 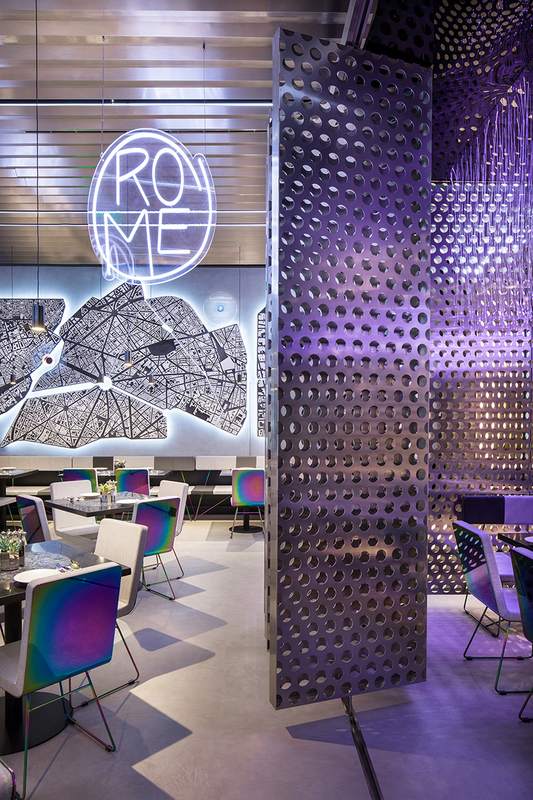 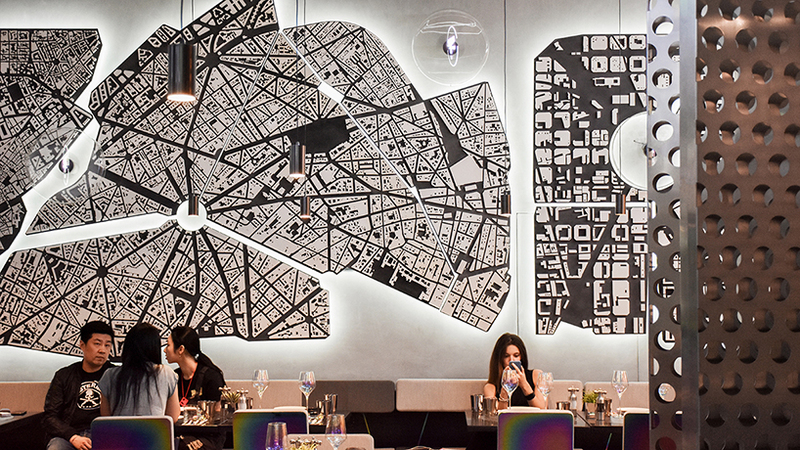 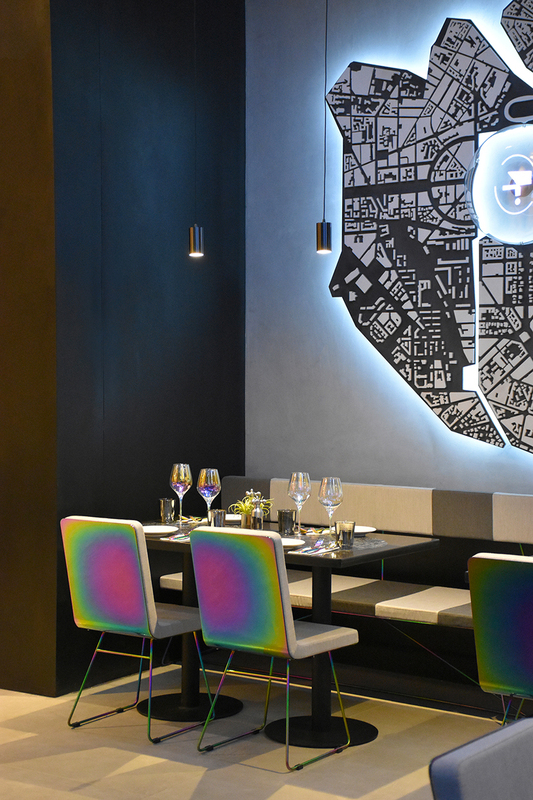 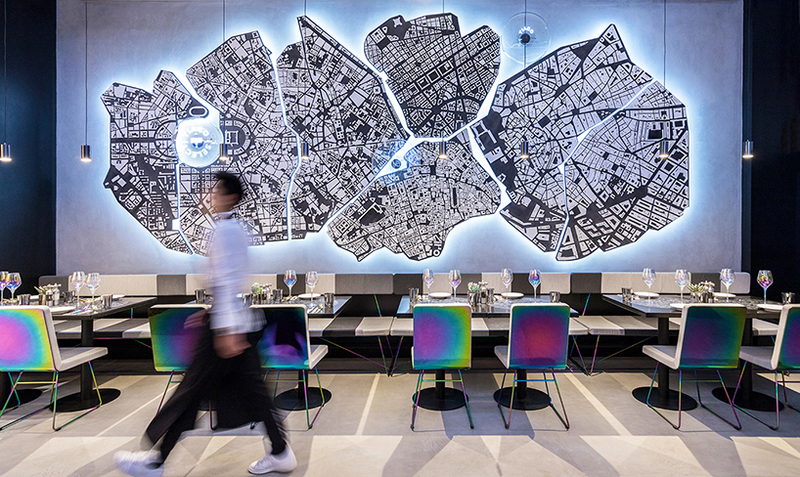 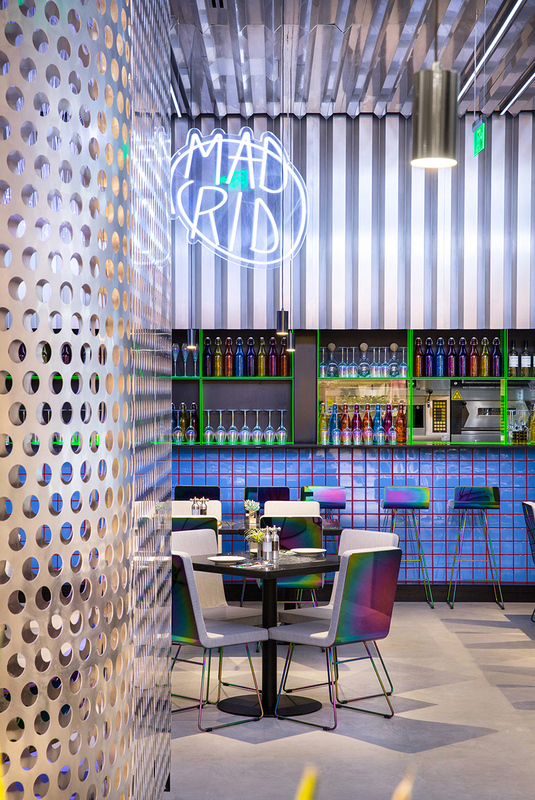 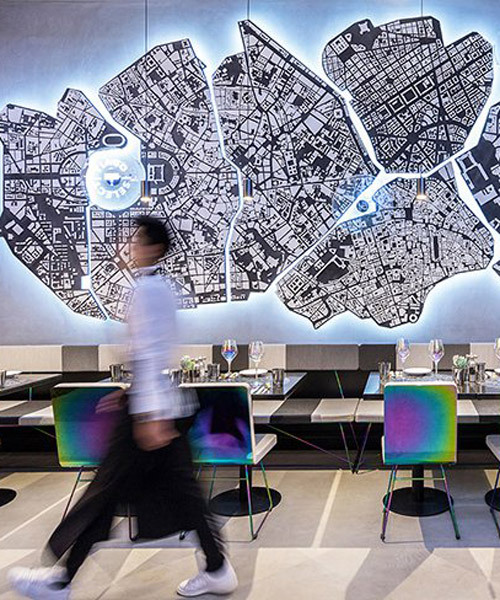 two large three-dimensional sculptural maps, made of assembled parts of european cities, are defining the main walls of ramoprimo’s restaurant on both sides. 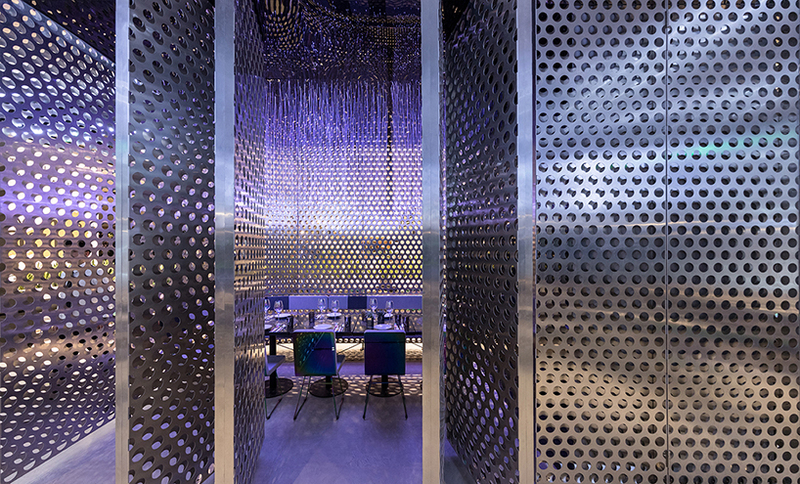 a semitransparent mysterious box dominates the space with its screen surface of perforated aluminum plates, enclosing a detached room with a romantic effect of a lighting rain from above. 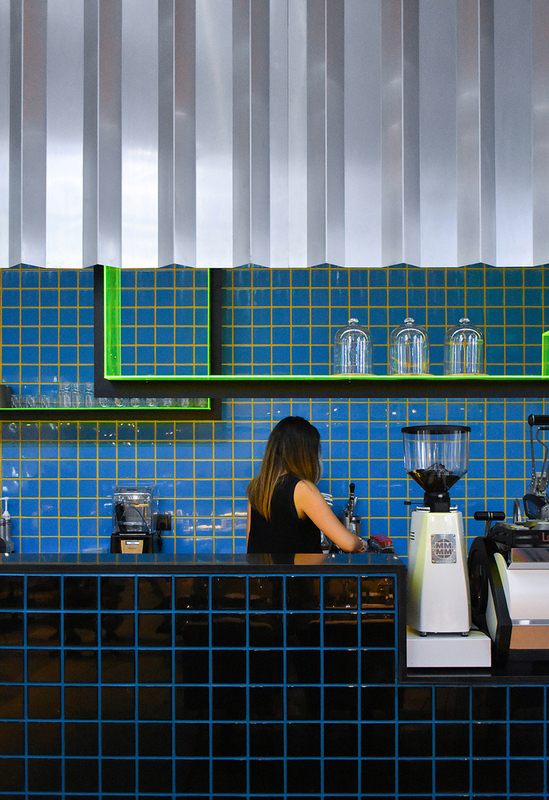 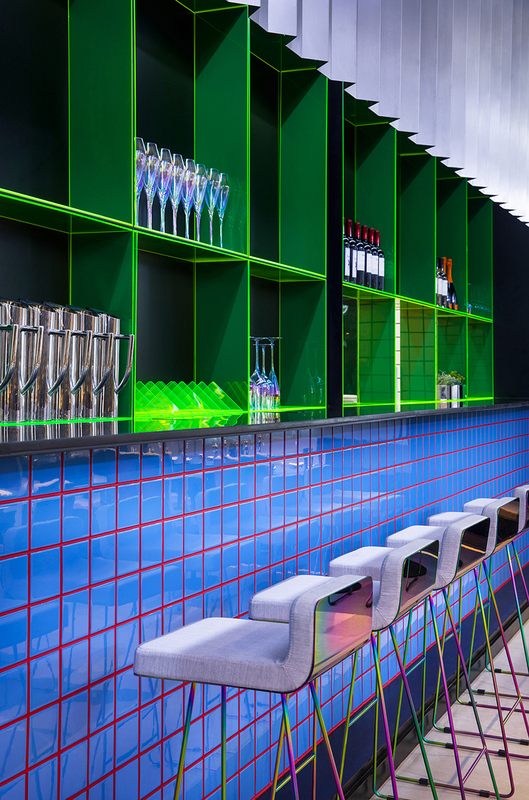 the back wall contains all technical spaces — it is a large and dark surface of regular square tiles enlighten by fluorescent-colored silicon lines. 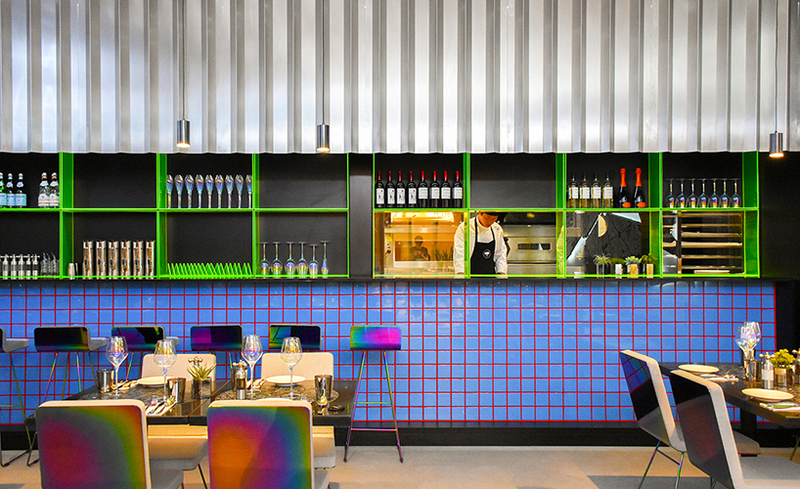 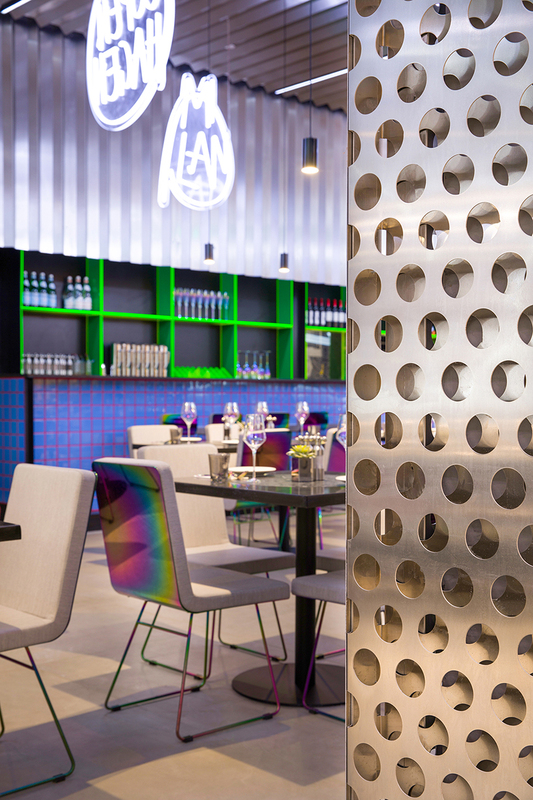 glowing acrylic lines are framing thin metal plate shelves defining the kitchen’s entrance and functional spaces of the pizza area and cocktail bar.